Lefrois Builders and Developers have been hard at work on the recent expansion of Optimax System’s Precision Manufacturing Expansion. Their current facility, located in Wayne Country, will be doubled as Lefrois adds an additional 60,000 feet to their building. The expansion is estimated to be completed in 2024. Optimax manufactures components for fiber optic telecommunications, solid-state lighting, digital photography, displays and diagnostic medicine, and has done work in the realms of aerospace, government research, and defense. One of their more notable projects was the design and manufacturing of the lenses on the Mars rover for NASA. The new expansion will allow the company to support its technological and employee growth as one of the United States’ most notable players in high-precision optics. The $21 million facility expansion will add over 60 jobs over the next 5 years, creating career pathways that are purposeful, satisfying, and rewarding, and bringing highly technical jobs to the Rochester area. 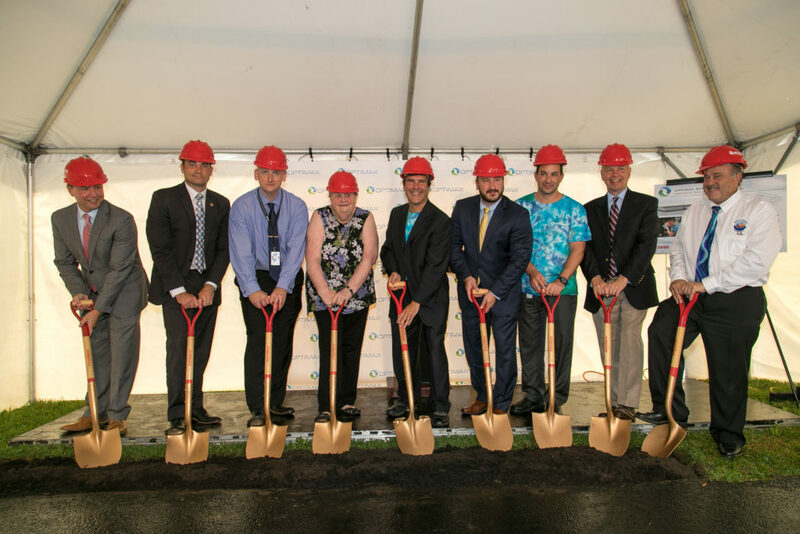 September 2018: The ceremonial groundbreaking of the Optimax expansion in Ontario. The project is estimated to bring 60 additional high-tech jobs to the region and will be completed by 2024. Pictured from left to right is Matt Hurlbutt (President & Chief Executive Officer, Greater Rochester Enterprise (GRE)), Vinnie Esposito (Finger Lakes Regional Director, Empire State Development (ESD)), Andy McVey (Asst. Principal, Finger Lakes Technical and Career Center), Peg Churchill (Former Executive Director, Wayne County Industrial Development Agency), Rick Plympton (CEO, Optimax), Brain Pincelli (Executive Director, Wayne County Industrial Development Agency), Alejandro Mendoza (HR Manager, Optimax), Bob Oaks (NY State Assemblyman), Frank Robusto (Town Supervisor of Ontario).